Uglyworld #708 - Turtle at Mount Bachelor, originally uploaded by www.bazpics.com. The travelling Turtle had once again put together a great day for us, after all who wouldn't want to go see loads more volcanoes!!! 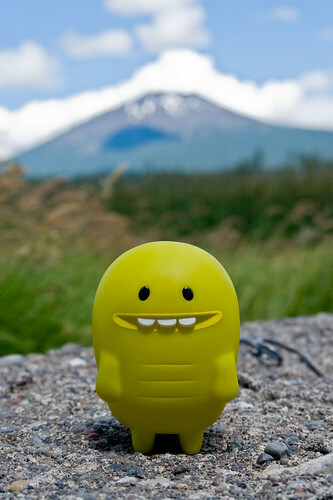 Here's the little guy sporting his trademark cheeky grin in front of his favourite volcano of the day, Mount Bachelor.